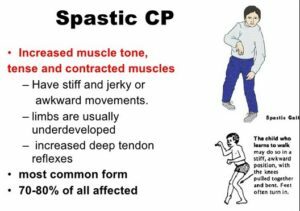 CP occurs due to an impaired muscle coordination known as spastic paralysis and other disabilities, which have caused damage to the brain before or at birth. 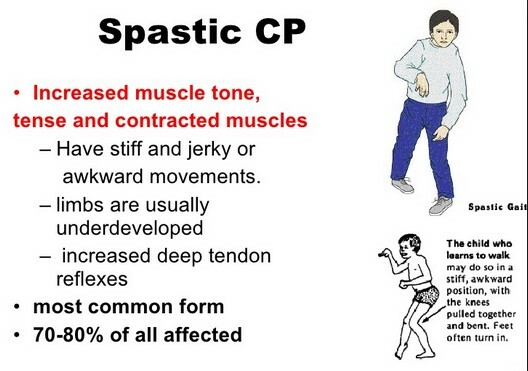 Spasticity is a form of hypertonia that occurs as a result of increased muscle tone. It is this condition, which results in muscle stiffness hence making movements difficult.